PHOENIX—The Seattle Seahawks and New England Patriots aren’t the only ones preparing for football’s biggest game. An event as large as the Super Bowl requires a coordinated effort from thousands of volunteers. 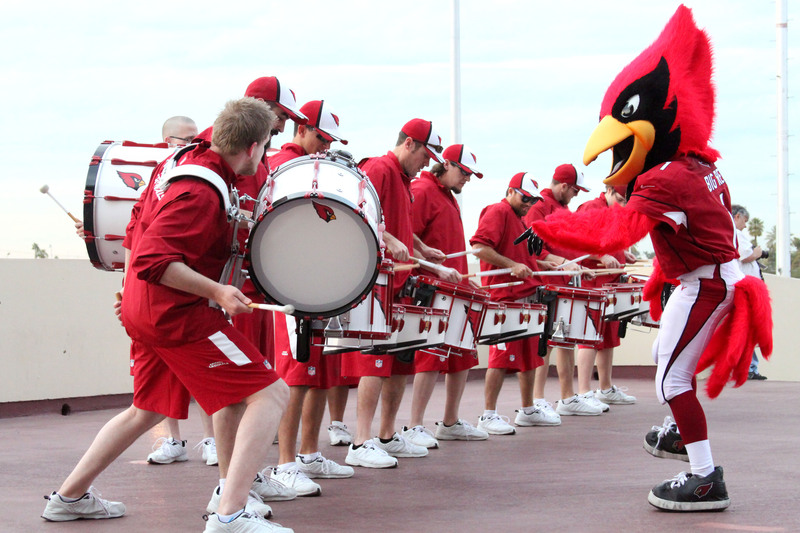 Training kicked off Tuesday night at the NFL’s Fans First! Rally at the Arizona Veterans Memorial Coliseum. Katrina Elitz, who works through AZ Xtreme Booster Club, has volunteered in the past to help raise money for her son’s soccer fees and her daughter’s dancing expenses. This is her first involvement in Super Bowl festivities, though. The NFL brought in some outside help from an organization known around the world for its customer service. Former Arizona Cardinal and radio host Ron Wolfley emceed the event, which included appearances from NFL and Super Bowl host committee officials and Cindy McCain. The wife of Arizona Sen. John McCain has worked with the NFL to address the issue of human trafficking at the Super Bowl but she also enjoys football as a fan. 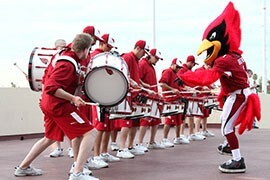 Marching band and Cardinals mascot energize the crowd.